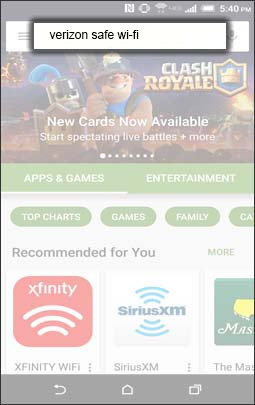 From a Home screen, navigate: Apps icon > Play Store. 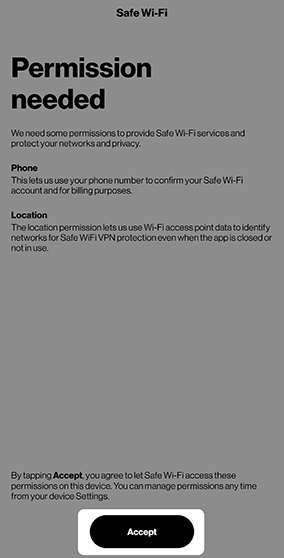 If presented, review the Play™Store Terms of Service then tap Accept to continue. 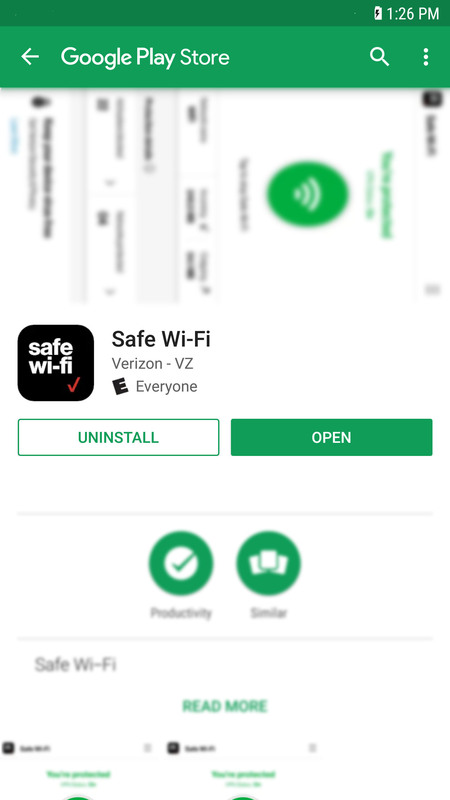 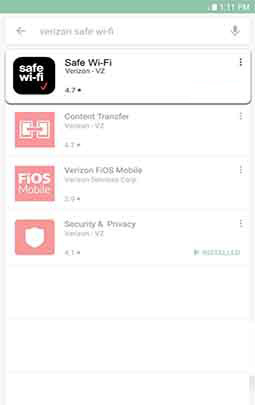 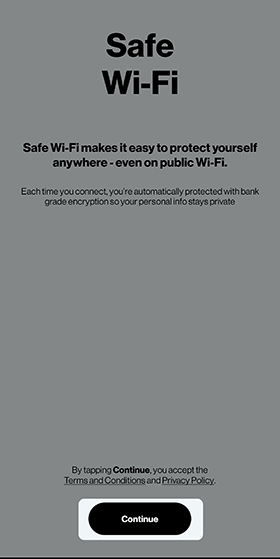 In the search field, enter Verizon Safe Wi-Fi. 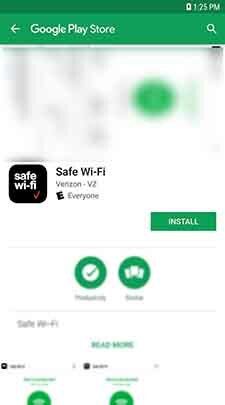 To proceed, read the Verizon Security & Privacy Terms and Conditions then tap Let's go. 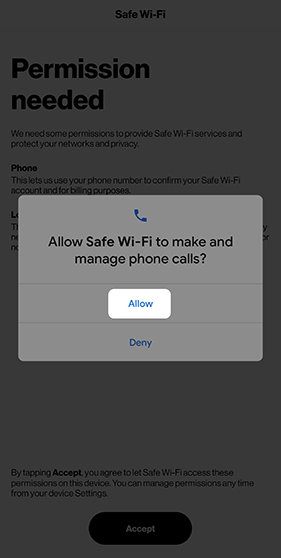 If prompted, tap Allow to give permission to make and manage phone calls. 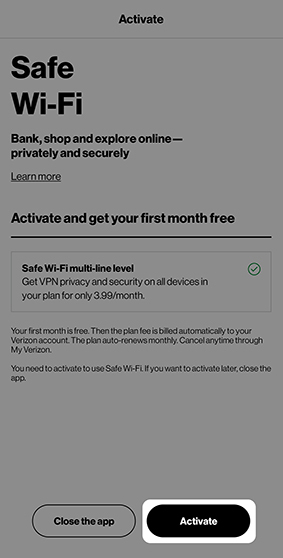 Select from the available plan options then tap Start your free promotion.